Comparing your actual spend against your budgeted spend is one of the most useful things you can track as a business. It is for this reason that inputting your budgets into Sage is such a worthwhile task. Here, we will go through all you need to know about budgets and why you should be using them. If you had previously set budgets on an account and then at a later date, choose no budget as your budget type, you are prompted to delete the budgets. Enter the required values for each budget period in the budget this year column. 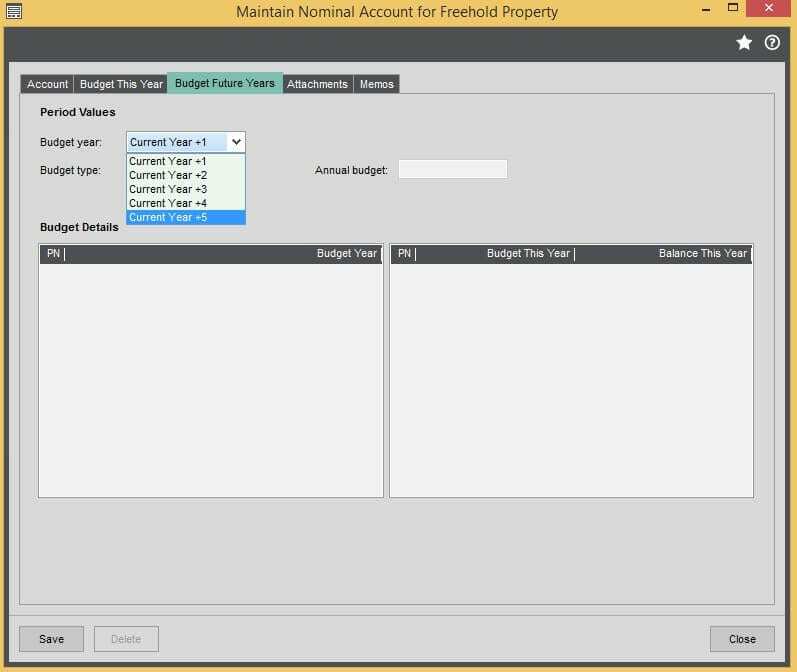 Using an annual budget, you can enter the total value, which the ledger apportions equal values to each period. A year to date budget figure is shown which is the accumulated budgets of the periods to date. This is only applicable for posting type nominal accounts. Selecting this option indicates that you do not intend to enter any budget figures for this account since they will be included in the budget figures for a group account. Select the required budget from the budget profile list. The total annual budget figure will be divided according to the percentages defined in the selected budget profile. 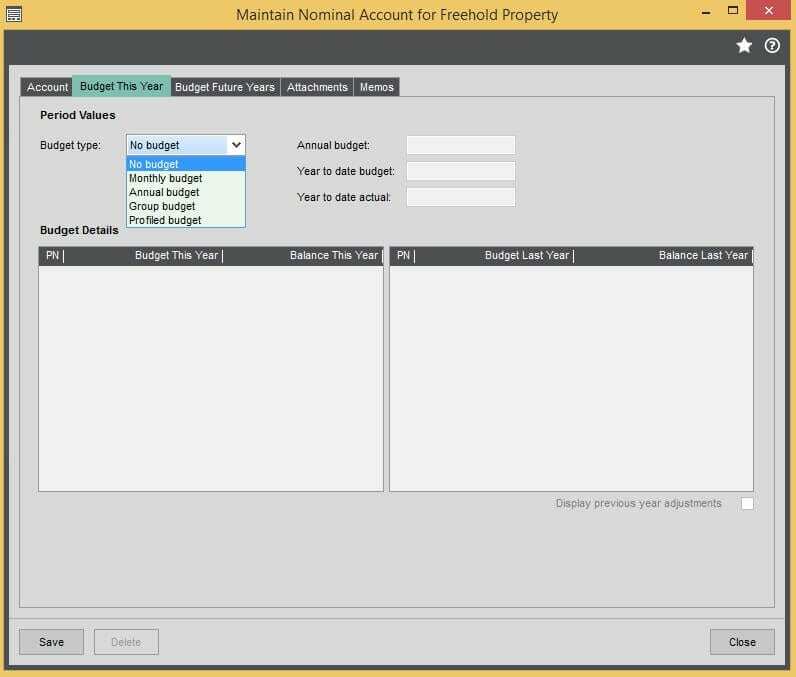 There are 3 templates for profiled budgets which have to be set up before you input your budgeted amount. These type of budgets are good for seasonal businesses e.g. ice cream sales. NB: In previous versions, you could still enter budgets but only for the one future year. Within this screen, you can go to Budget This Year or Budget Future Year. On these tabs, you can see your budgets and whether they are set out as Monthly or Annually. You can then simply type your budget into the relevant boxes and save. There is a function within Sage 200 where you can import your budgets from excel format into the system. If you have a lot of accounts, the thought of manually entering budgets may sound daunting. 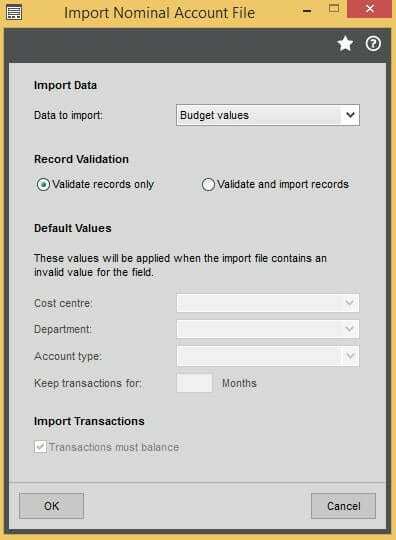 Don’t worry, you have the option to import your budget using the standard Sage CSV Imports. 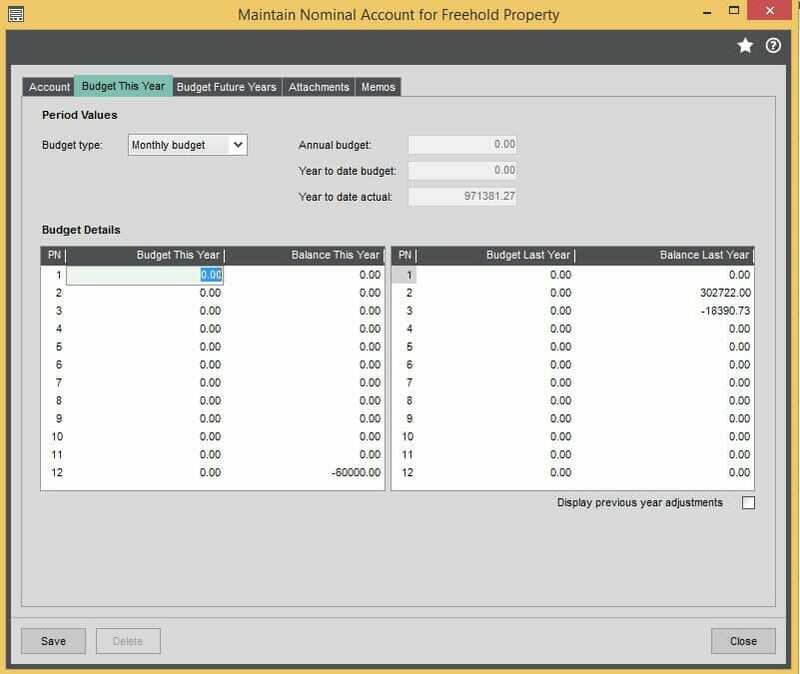 The import file allows you to input multiple monthly budgets for multiple accounts in one go. This is a much faster process and is great if you already use Excel to manage your budgets. Account Cost Centre – This is the nominal code which you will be creating, is 3 text characters long and does not already exist within Sage 200. Account Department – This is the nominal account department, 3 text characters and must already exist in Sage 200. Budget Year (this will not be available for versions 2013 or below) – Mandatory if you are importing budgets for multiple years. Year relative to the current year must be one of 0 for the current year, 1 for current year +1, 2 for current year +2, 3 for current year +3, 4 for current year +4, 5 for current year +5. Account Number – This is the nominal account number, up to 8 text characters and already exist in Sage 200. Annual Budget (this will not be available for versions 2013 or below) – The annual budget, you must enter a value even if you are only importing monthly budgets. Make sure to change Data to import to Budget Values. There are a number of default budget reports you can run through Sage 200. Each report has set criteria allowing you to select the range of records from that module to include on the report. Each report can be printed, emailed and exported to an Excel spreadsheet. You can also create your own custom reports, why not contact us for more information. I hope this blog has given you some helpful tips on budgets within Sage, if you require any assistance, information or would just like to let us know of any other useful blogs you would like please let us know.